ShinePay is the only laundry payment platform built for your route. Retrofit your machines to accept credit card payments, saving you time and money. 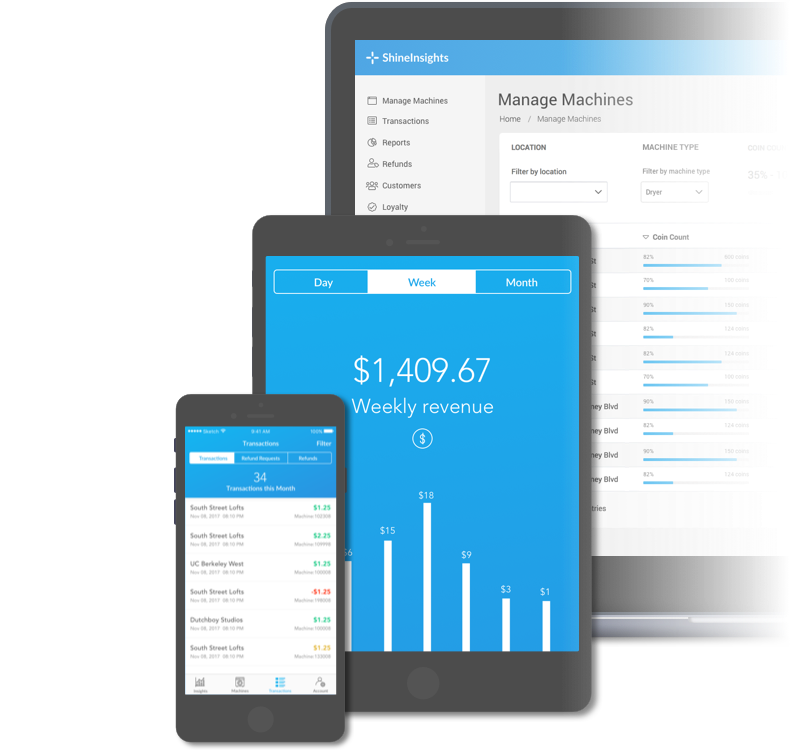 With 10s to 1000s of machines, choosing a laundry payment system is an important decision. With ShinePay, you’re getting not only the most powerful tools, but also you’re getting them at the lowest cost and without any contracts or obligations. Buy your hardware once, own it forever. 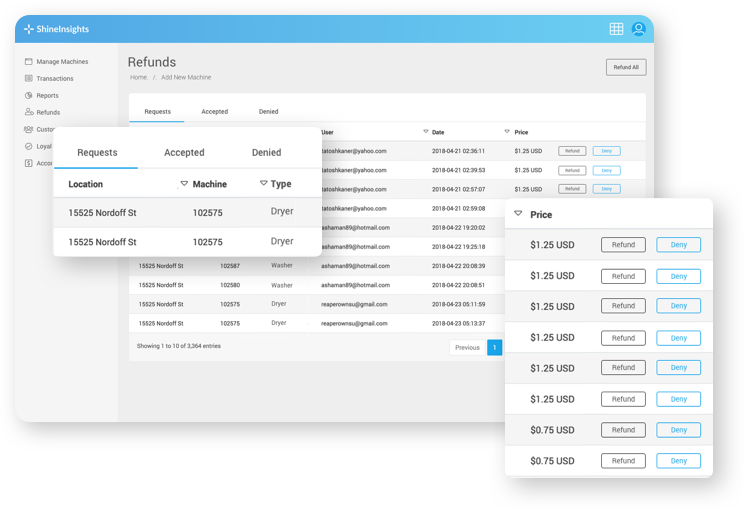 Most payment systems have hidden activation fees, leasing fees, and monthly service fees coming right out of your profit and pocket, we don’t. We believe in the value of our product and don’t lock you into unnecessary contracts, so we don’t contractually lock you in for years. You are free to leave at any time if we aren’t meeting your expectations. Many payment systems sell you hardware then charge monthly leasing fees after your contract is up. Buy your hardware once and own it forever. 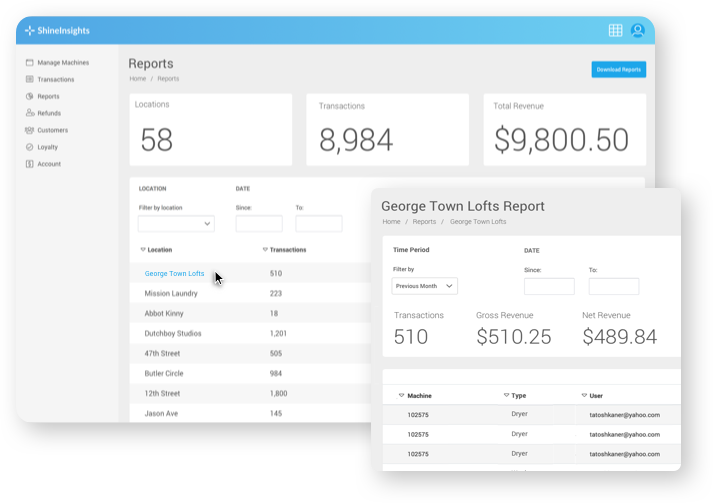 Generate powerful reports quickly from anywhere you need to be. Accountability has never been so simple. Spending time managing your operation is time away from building relationships with customers. 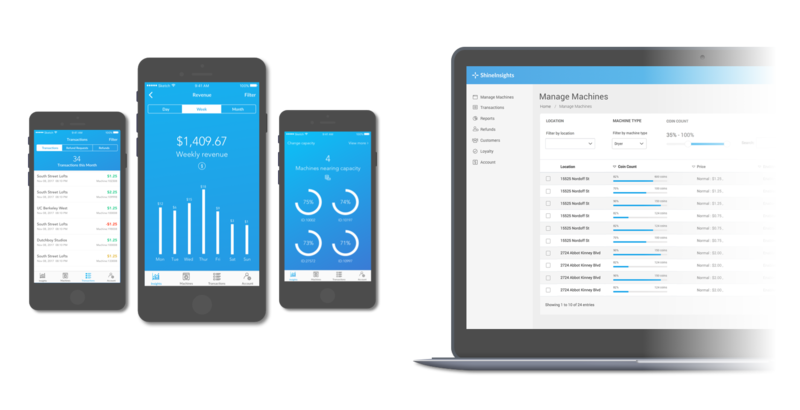 Our software is built to manage change at scale, which can help you win back your time. 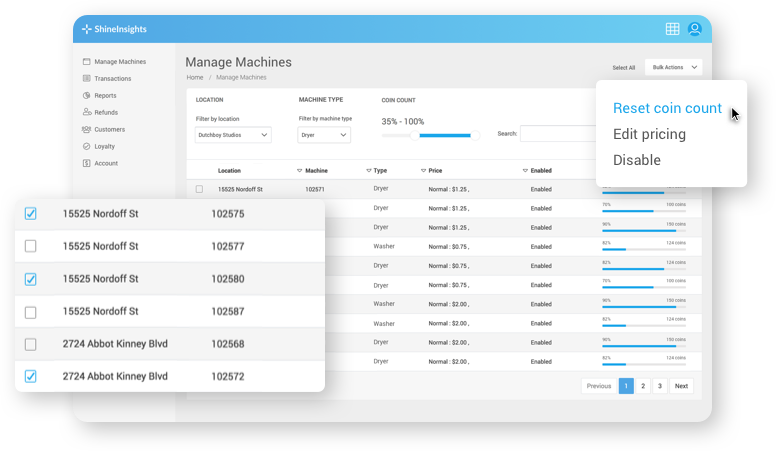 Manage your machines with data, not guesswork. Manage your machines with data, not guesswork. With our software, you’ll know when and how much to collect. No more mailing out $1.50 checks. Return funds with ease anywhere you are. Your feedback challenges us to be the best laundry payment system in the world. If you have a workflow or feature request, send it in! An easy and intuitive app experience is critical for customer adoption. We strive to design software that simplifies the complications of your operation. See it for yourself how easy ShinePay is to use. "ShinePay is simple. My customers love that." "ShinePay is a game changer. It allows me to reduce my costs and I can do it from my phone." "Having a live feed of my cash-flow & quick access to funds is vital to seizing operational opportunities that weren't available before this."